We were formed in 2006 with the purpose of building a globally competitive economy in our 11-county region. We were created to unify, collaborate, and promote Northeast Indiana life and business while upholding the traditions and compassionate nature of our citizens, and embracing inclusivity and openness. And although we’re making tremendous strides, we’re only getting started. We aspire to leave a legacy for future generations by strengthening our community through a spirit of inclusiveness. As a regional economic development organization, we serve 11 counties in Northeast Indiana including Adams, Allen, DeKalb, Huntington, Kosciusko, LaGrange, Noble, Steuben, Wabash, Wells, and Whitley counties. Whether you’re a business considering the Fort Wayne region for expansion or relocation, or you’re a community leader who would like to know more about getting involved, our team is here for you. 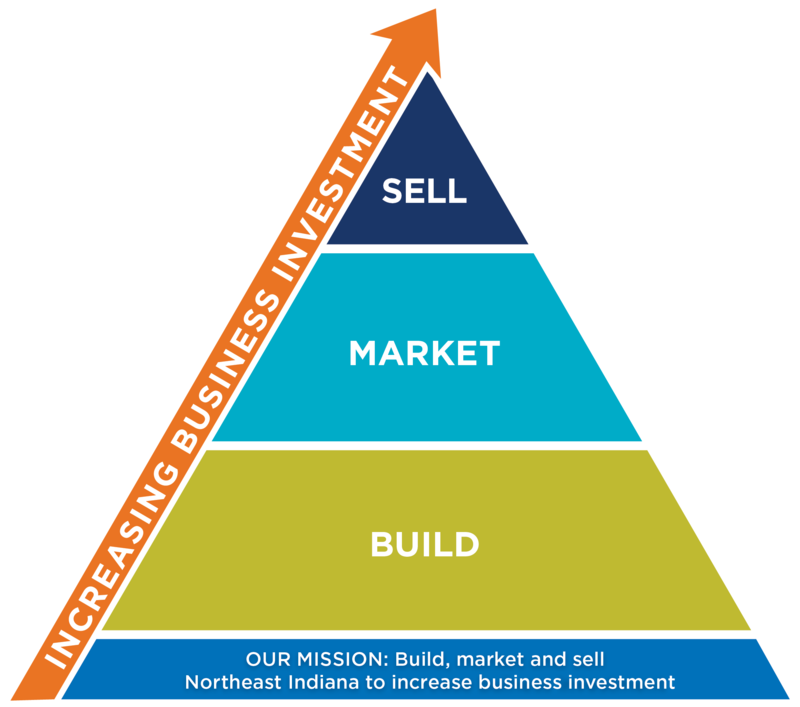 To build, market, and sell Northeast Indiana to increase business investment. Whether your business is considering our region for an expansion or a relocation project, or you’re a business or community leader within our region and would like to know more about getting involved, our team is ready to assist you.